It’s a story that almost sounds like the plot of a pulp novel: in the face of a marauding religious threat, and war, a local team secretly smuggled hundreds of thousands of manuscripts out of Timbuktu, preserving them for study and future generations. Bribes, violence, conflict, and danger were endured to save around 300,000 manuscripts, taken from Timbuktu to Bamako. It was not an effort in vain. The location where many of the manuscripts had been stored was eventually overtaken by rebels, and before French troops managed to intervene sufficiently, the religious groups that had taken over the Malian town demanded that all the paper burned. To boot, they banned the holiday celebrating their existence. We’re all in the debt of Abdel Kader Haidara, who orchestrated the rescue by donkey and boat. It isn’t simple to move this many documents, period. It’s far harder when you could lose your life in the process. The New Republic has an in-depth story on the trove, the risk it faced, and its salvation. If you read anything today, read that. 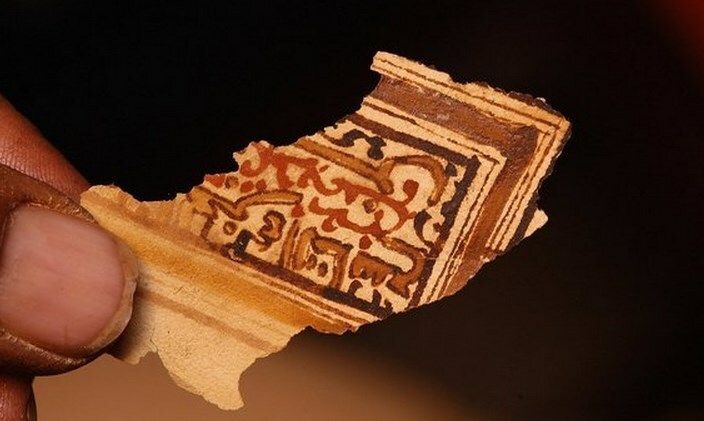 Timbuktu was once the center of a vibrant trans-Saharan network, where traders swapped not only slaves, salt, gold, and silk, but also manuscripts—scientific, artistic, and religious masterworks written in striking calligraphy on crinkly linen-based paper. Passed down through generations of Timbuktu’s ancient families, they offer a tantalizing history of a moderate Islam, in which scholars argued for women’s rights and welcomed Christians and Jews. Whatever your politics, whatever your religion, whatever your past, we can all agree that learning from our collective history is something worth doing. The kicker to this almost surreal story is that the now-saved documents are threatened by rot. Moving from a hot, dry climate to a cooler location has introduced new weather conditions that could ruin the manuscripts. Out of the fire, quite literally, and into the soup, it would seem. A friend of mine, Brian Mayer, introduced me to the project to better house and safeguard the manuscripts. I have to admit that the idea of losing a portion of them to chronic dampness feels outrageous. This is the part of the chronicle of our species. We know better than to let it expire. The group that saved the documents is raising funds on IndieGoGo to better preserve what they have already saved once. We live in an odd world of cloud storage, with essentially unlimited space; paper books are losing market share to digital copies; and the NSA apparently likes to store the metadata of every phone call you have placed in the last few years. It feels odd to even realize that our older records are beyond fragile. You can’t quite back up a tablet made of wood. Whatever the case, the story of the manuscripts is worth knowing, because some things we can’t replace. Read next: Gov: PRISM, "authorized by Congress," is "not an undisclosed collection or data mining program"